This is the first time Moreno has made this allegation. Of course, Assange’s arrest came just one day after Wikileaks held a press conference to accuse Ecuador of illegally spying on Assange. 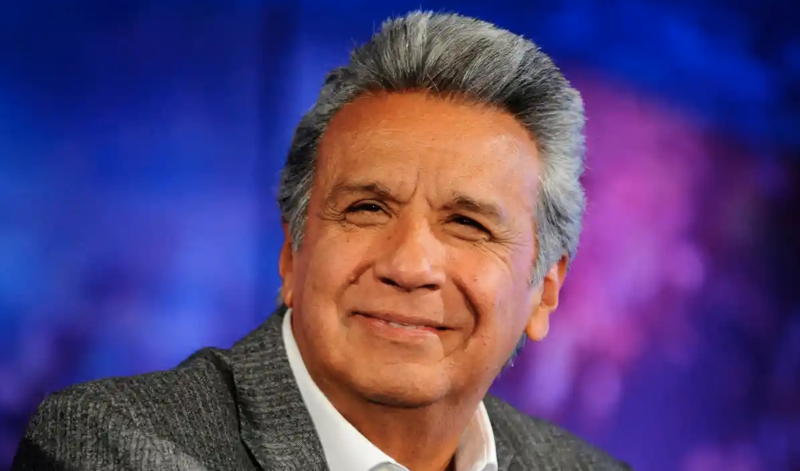 Critics, including Moreno’s predecessor Rafael Correa, have accused Moreno of bowing to pressure from the US, hoping Assange’s arrest would help Ecuador secure a lucrative trade deal or convince the superpower to cancel some of his country’s debt. Correa, who championed Assange and was responsible for initially granting him asylum back in 2012, accused Moreno of committing “a crime that humanity will never forget” in deciding to turn over Assange. Responding to these claims, Moreno called them a “fallacy”. Moreno denied that his decision was retribution for Wikileaks’ publication of intimate family photos, as well as Wikileaks’ drawing attention to documents pertaining to the INA scandal, which has stoked suspicions of corruption after Moreno was linked to offshore accounts believed to have been started by his brother. Others have argued that the Assange arrest may have been an effort to distract from the scandal. Any form of coexistence with Assange in the embassy became a headache, Moreno added. He also claimed that the UK had provided Ecuador with written assurances that Assange wouldn’t be turned over to any country where he could face torture of the death penalty, something that the UN has warned about should he be handed over to the US. Rebutting Moreno’s claims, Assange’s lawyer Jennifer Robinson said these were self-serving arguments that sought to paper over the fact that Ecuador had violated international law. Of course, as Gateway Pundit journalist Cassandra Fairbanks has reported, Ecuador’s claims that Assange’s room at the embassy had been transformed into a “fetid lair” have been greatly exaggerated. Meanwhile, Ecuador’s former London consul has accused Moreno of breaking the law by ousting Assange. Meanwhile, Fairbanks and other supporters of Assange are preparing to vociferously protest Moreno when he arrives in Washington later this month. Whether he is granted a meeting with President Trump will be closely watched.